To get the wine business started, we purchased a few tons of premium grapes from established local growers. We partnered with the experienced team at Pallet Wine Company of Medford to produce a total of 150 cases of two of our favorite varietals—Chardonnay and Merlot. Since we are organic food consumers, we were immediately attracted to the low impact and sustainable processes employed by the vineyards and the winery which are each LIVE-certified (Low Input Viticulture and Enology). Variation and lengthy native yeast and natural malolactic fermentation are important to natural winemaking processes, and result in complex, flavorful, complex wines. We have subsequently added more varietals and presently have eight in our portfolio. 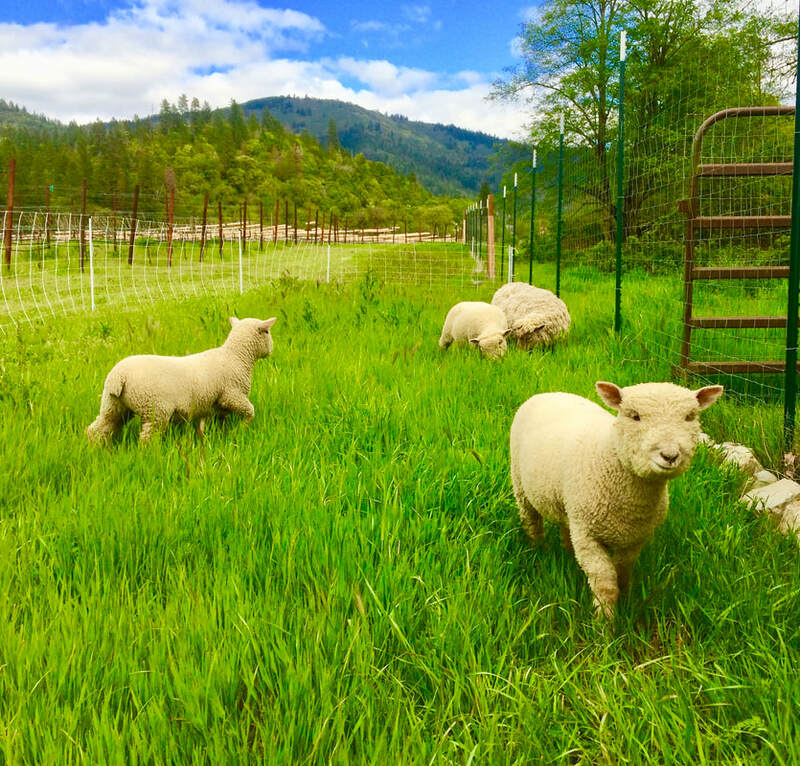 ​After several years of learning the "wine" part of the business, we then turned our attention, time, and energy to planning our own estate vineyard. Our 60-acre site on Slagle Creek Road, formerly a cattle ranch, is in the beautiful Applegate Valley AVA of southern Oregon. Roughly half of the property is available for agriculture, with the other half a beautiful forest. Slagle Creek meanders across the property providing water and habitat for an abundance of wildlife. We began layout, irrigation installation and trellis development on six acres in 2014, fencing out the deer and elk, but allowing them access to the creek. After consulting to determine which varietals are best suited to our site, planting began with the Spanish noble Tempranillo grape and continued with a planting of Malbec in 2015. The 6-acre vineyard has now been planted out with Viognier, Petit Verdot, Merlot, Cabernet Franc, and Cabernet Sauvignon, and is LIVE-certified. 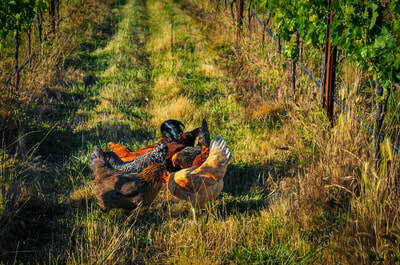 Currently under development is a cooler 2-acre vineyard designated for Pinot noir, Pinot blanc, and Chardonnay. Land stewardship is a high priority, so we are preserving the trees, restoring the riparian area and removing non-native invasive plant species. As part of our future plans to become biodynamic-certified, our seven free-range chickens provide pest control in the vineyard, and share the space with six sheep that mow and fertilize. Building on degrees in Chemical Engineering and English, our wine education has included wine appreciation classes at Louisiana State University and an “Establishing the Small Vineyard” class on-campus at the University of California-Davis. Greg completed the UC Davis Extension's Winemaking Certificate Program in the spring of 2012 and completed harvest internships at Belle Fiore Winery and Pallet Wine Company. Debbie is a certified Master Gardener and Land Steward through Oregon State University Extension and is applying her knowledge to our farm.